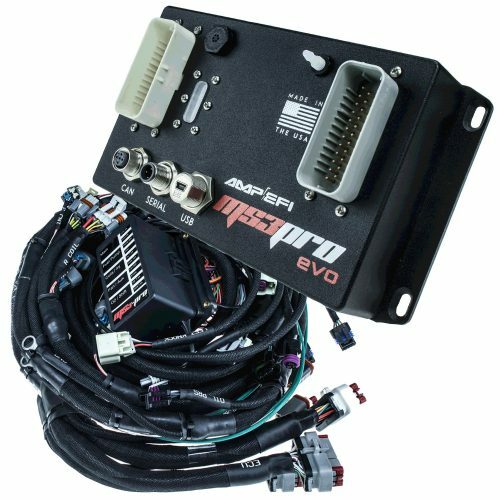 Seamlessly control your 4L60E transmission with AMPEFI Transmission Control! 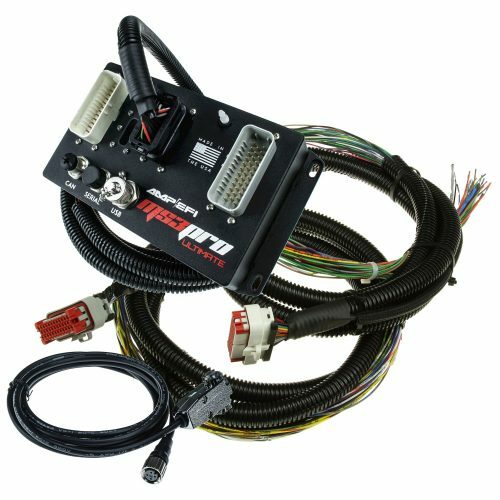 The supplied 4L60E subharness provides a simple, plug and play integration with MS3Pro and directly mates with our LSx drop on harnesses. 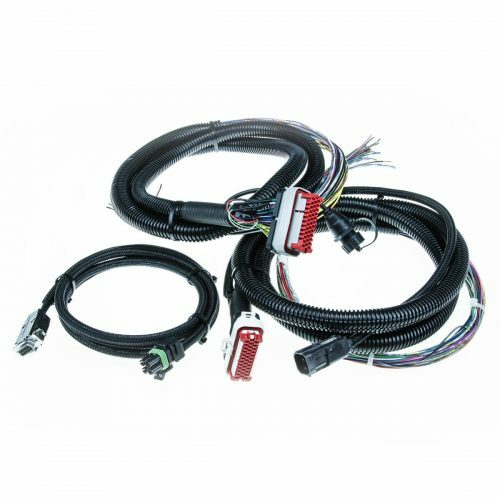 This harness fits GM 4L60E transmissions with and without the LUF (lock up feel) control solenoid. 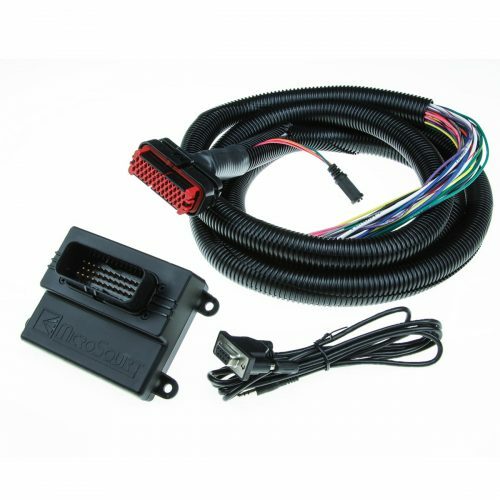 It does not include the input shaft speed sensor found on later 4L65E and 4L70E variants. You can also wire the harness to communicate with an MS3Pro over the CAN bus. I’ve heard of a device called the MicroTCU. Is this a MicroTCU? The MicroTCU is a different unit that has similar specifications, but it has not been put into production. No, but you can make it waterproof with a bit of RTV silicone around the edge of the case. Are there other versions of the MicroSquirt for other functions? Transmission control or the “IO Box”, for example? 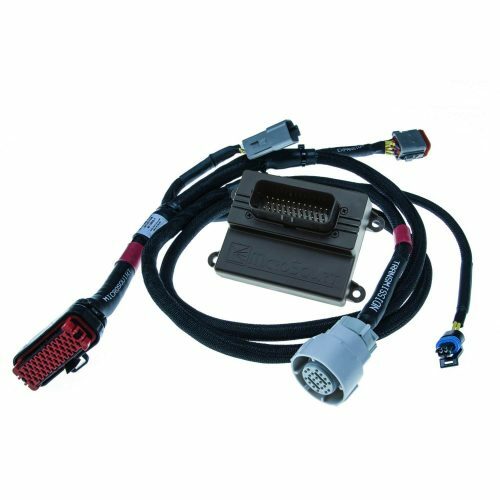 These all use the same ECU, just running different code to change its function and use it as a transmission control unit or I/O expansion device. See MSExtra.com for details. Could I use two MicroSquirts, one running the engine and one running the transmission? Yes. 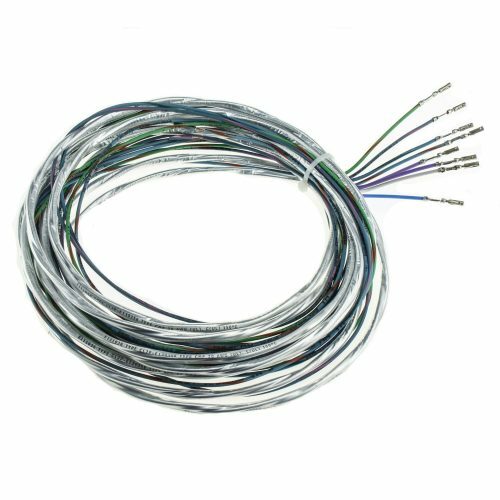 They would link up over their CAN networks to look like a single unit to the tuning software. They are built in the USA. 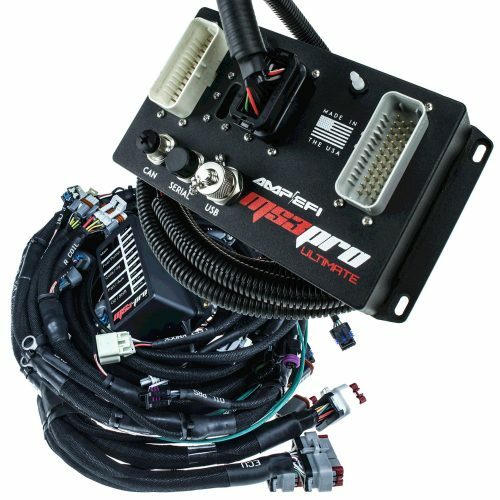 What do I need to tune this unit over USB? You will need our external USB adapter.